INDEVCO has put online a new industrial packaging portal displaying building and construction films, corrugated packaging, paper materials, and plastic bags and films. INDEVCO industrial packaging portal provides information for industrial and construction packaging and films, product specifications, a vast array of product images, and downloadable brochures. Visitors can request more information, engage in live online chat with INDEVCO Group representatives, and request for quotes (RFQ), which are processed by INDEVCO Lead Generation Unit. In line with product preferences, visitors will receive suggestions to view other related products of interest. This facilitates information gathering by foreseeing future information needs and cutting down search time. Furthermore, the industrial packaging portal enables visitors to keep track of sector and company news and developments, as well as with upcoming events through social media channels. INDEVCO Group, the local multinational of the Middle East, manufactures paper and plastic flexible packaging, corrugated containers and displays, and tissue consumer and institutional disposables. INDEVCO industrial packaging portal is powered by Online Communications Unit, a service unit of INDEVCO Group. INDEVCO launched a new beverage packaging portal on 29 April 2011, providing sector related information, product specifications, news, and photos. INDEVCO beverage packaging portal displays corrugated, paper, and plastic beverage packaging products for soft drinks, water / sparkling water, juice, coffee, tea, and alcoholic beverages. INDEVCO beverage packaging portal allows visitors to attain all sector related product information and specifications and download brochures, in order to facilitate informed decision making. The portal allows interested parties to submit direct requests for quotes (RFQ), as well as provides online chat support in real time. RFQ's are processed by INDEVCO lead Generation Unit. According to the product of interest, the portal provides options to view related products, for example those interested in paper cups might receive the option to view cup holders. Additionally, the portal holds a rich photo gallery of product images. Visitors, through the beverage packaging portal, can follow all social media channels in order to access sector, company, and product related news, as well as be informed of all coming events. INDEVCO Group manufactures paper and plastic flexible packaging, corrugated containers and displays, and tissue consumer and institutional disposables. INDEVCO beverage packaging portal is powered by Online Communications Unit, a service unit of INDEVCO Group. Project Lebanon visitors can learn more about innovative energy-saving technologies for Lebanon and the Middle East at Phoenix Energy booth. 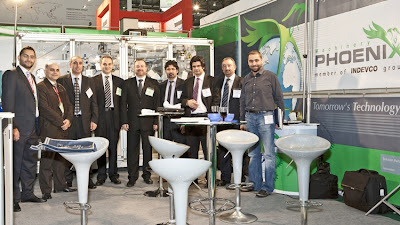 Phoenix Energy, supplier of renewable energy products and solutions, will exhibit environmentally friendly technologies at Project Lebanon 2011, Booth # L26 in the Green Pavillion. Phoenix Energy supplies water solar heaters, wind turbines, biomass boilers, biomass stoves for domestic and commercial use, and minced solid biofuels. Project Lebanon has served to promote the construction trade and building industry throughout Lebanon and the Middle East. The 16th edition to be held next June will feature the best in construction technology, building materials, equipment, and environmental technology. Phoenix Energy is a sister company to Phoenix Machinery and a member of INDEVCO Group. MASTERPAK provides sophisticated and effective impermeable systems to preserve and contain water in the Middle East and North African (MENA) region. In April 2011, MASTERPAK teamed up with AGRU, manufacturer of high-quality plastic products, to offer customers innovative products and lining solutions for water and solid containment. AGRU, headquartered in Bad Hall, Austria, produces and distributes high-quality plastic products, environmental technology, and constructional engineering worldwide. Today, MASTERPAK is the exclusive distributor of AGRU geomembranes in Bahrain, Egypt, Eritrea, Iraq, Kuwait, Lebanon, Jordan, Qatar, Saudi Arabia, Somalia, and Sudan. A PE film manufacturer in Zouk Mosbeh, Lebanon, MASTERPAK offers AGRU High Density Polyethylene (HDPE), Linear Low Density PE (LLDPE), and Very Low Density PE (VLDPE) geomembrane liners. Geomembranes have a vast array of applications ranging from water reservoir lining, stadium or basement water proofing, solid waste containment, dam or tunnel lining, and many more. 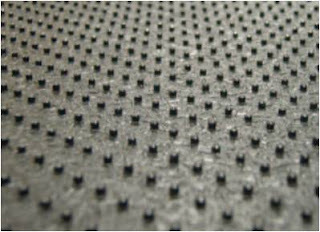 AGRU geomembranes have a thickness of up to 3.0 mm and width of 5 or 7 m and are manufactured in a high-precision calendaring extrusion process. 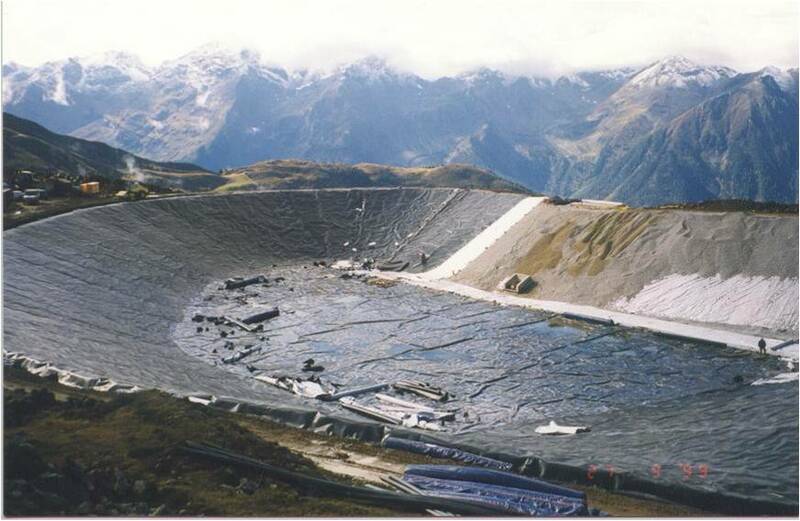 AGRU geomembrane liners are extensively tested through internal production control, lab control and system tests, as well as through external quality inspections by independent state authorized institutes, such as MPA – Damstadt, SKZ – Wuerzburg, BAM – Germany, and OFI – Wien. Thus, AGRU geomembranes comply with various high-quality standards. MASTERPAK is a member of the Flexible Division of INDEVCO Group. The $13 million investment to open a containerboard manufacturing plant will create 60 new jobs in Lexington County, SC. Interstate Container announces that it will establish a new manufacturing plant in Lexington County, South Carolina, with the facility expected online in September. The corrugated plant will produce eco-friendly wax-alternative corrugated boxes, which are 100% recyclable, repulpable, and compostable and which are used to ship fresh and frozen food products, such as poultry and seafood. Interstate Container is renovating a facility previously owned by Smurfit Stone to meet its manufacturing needs. This location, with its local and state support, provides necessary market access for the corrugated packaging manufacturer to expand its customer base and market reach. Interstate Container is a division of Interstate Resources, a national group of kraft linerboard, recycled medium, and corrugated manufacturers based in the U.S.
Labels: indevco, Interstate Container, Interstate Resources Inc.
Phoenix Machinery, manufacturer of hygiene converting machines, met with INDEX 11 attendees at Hall 4, Booth # 4142 from 12 - 15 April 2011. Visitors of Phoenix Machinery's booth viewed the ‘Online Stretch Ear Applicator Unit’ machine on display, as well as the new low waistband applicator kit. Phoenix Machinery manufactures adult diaper line AD-250, baby diaper line BD-04, baby diaper line BD-06, feminine napkin ultra thin LN-05 UT, feminine napkin ultra thin LN-08 UT, and feminine napkin ultra fluffy LN-05 F for the nonwovens industry. The event at GENEVA PALEXPO in Switzerland was very successful, bringing 12,670 visitors from around the world to meet with 533 exhibitors coming from 43 different countries. ﻿Phoenix Machinery is a member of INDEVCO Group. Napco is sponsoring Middle East’s first season of the Emmy Award winning culinary show, ‘Top Chef’. ‘Top Chef’ will be aired on Lebanese Broadcasting Corporation (LBC Sat) on 26 April 2011 at 6:30 pm GMT (9:30 pm KSA) and will be broadcasted until 19 July 2011. Napco, leading consumer disposables manufacturer in Saudi Arabia, will run its Sanita Aluminum Foil and Abou Rabta television campaigns (TVC’s) throughout the duration of the show. The culinary competition program which has seen much success in many other countries around the world will bring together 17 of the most promising chefs in the Arab region, providing an opportunity to show their talents. The show will be hosted by Siham Tueini and Joe Barza and bring prominent celebrity guest chefs to add unexpected challenges to the competition. The managing partner of Napco is INDEVCO Group. Phoenix Machinery has launched its new and improved information-rich web site. In line with Phoenix Group of Companies’ web sites, Phoenix Machinery has gone online with its new enhanced web site. The machine manufacturer provides web site visitors with in-depth details of its various divisions, products specifications and services. The web site also enables customers and prospects to request more product information and download Technical Data Sheets (TDS). The web site furthermore, offers visitors an archive of all volumes and issues of Phoenix Machinery’s Phoenixia newsletter. The quarterly newsletter features recent developments within Phoenix Group of Companies: new technologies, projects and product launches, latest events, achievements and joint ventures, and customer testimonials. Phoenix Machinery, in Safra, Lebanon, manufactures industrial machinery, high precision CNC parts, and refurbishes and performs control upgrades, in addition to paper, plastic, tissue, and hygiene converting machinery for the Middle East North Africa (MENA) region. Phoenix Machinery is a member of INDEVCO Group.